Episode 52 – Nick challenges Marcus to try the nostalga bomb that is Cobra Kai! Can Nick explain how a sequel to Karate Kid, thirty years in the making can be good? Will Marcus be able to see Johnny Lawrence in a whole new light? 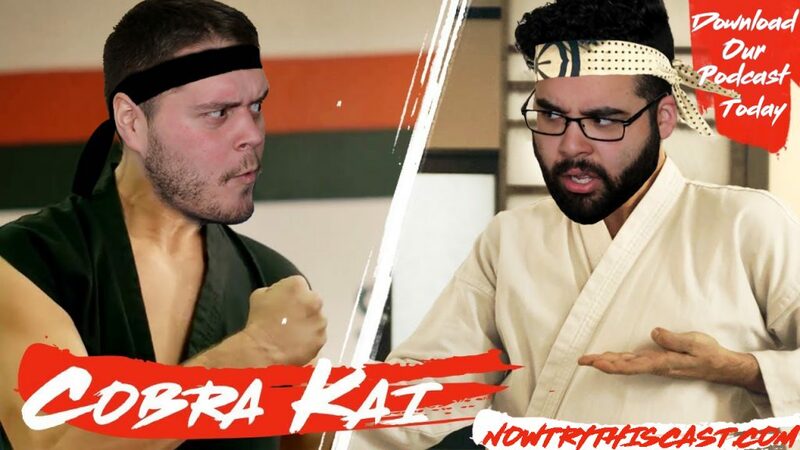 Do our boys know anything about karate at all?? You’ll have to listen to find out!!! Sponsored by Sudio! FOLLOW THIS LINK and use coupon code NOWTRYTHIS for 15% off! !